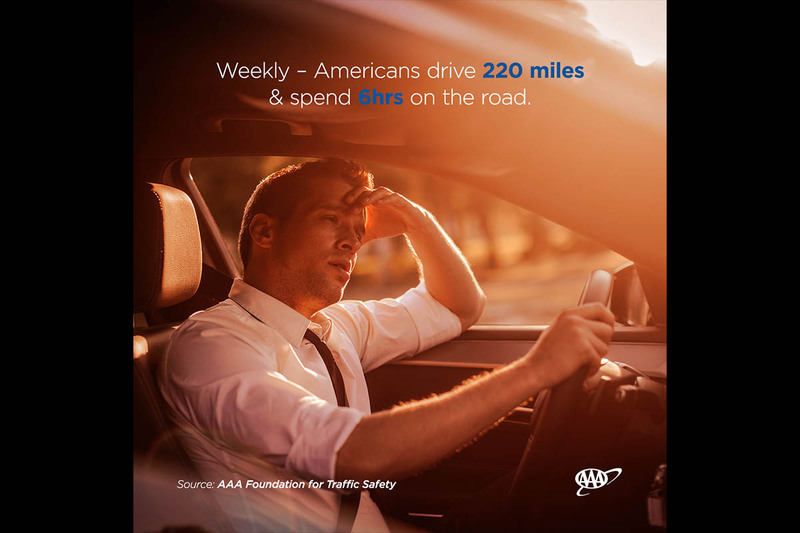 Each week, drivers travel more than 220 miles. Add it up and Americans drive an average of 11,498 miles each year- the equivalent of making two roundtrip drives from San Francisco to Washington, D.C. The new results are part of the AAA Foundation for Traffic Safety’s American Driving Survey, which reveals the driving habits of the American public. The survey data are from a representative sample of 11,804 drivers who provided information about their driving on randomly selected days between January 1st, 2014 and December 31st, 2017. Established in 1947 by AAA, the AAA Foundation for Traffic Safety is a nonprofit, publicly funded, 501(c)(3) charitable research and educational organization. The AAA Foundation’s mission is to prevent traffic deaths and injuries by conducting research into their causes and by educating the public about strategies to prevent crashes and reduce injuries when they do occur. This research is used to develop educational materials for drivers, pedestrians, bicyclists and other road users. Topics: AAA, AAA Foundation for Traffic Safety, Washington D.C.